Figure 7-69.--Aligning the cutter using a paper strip. 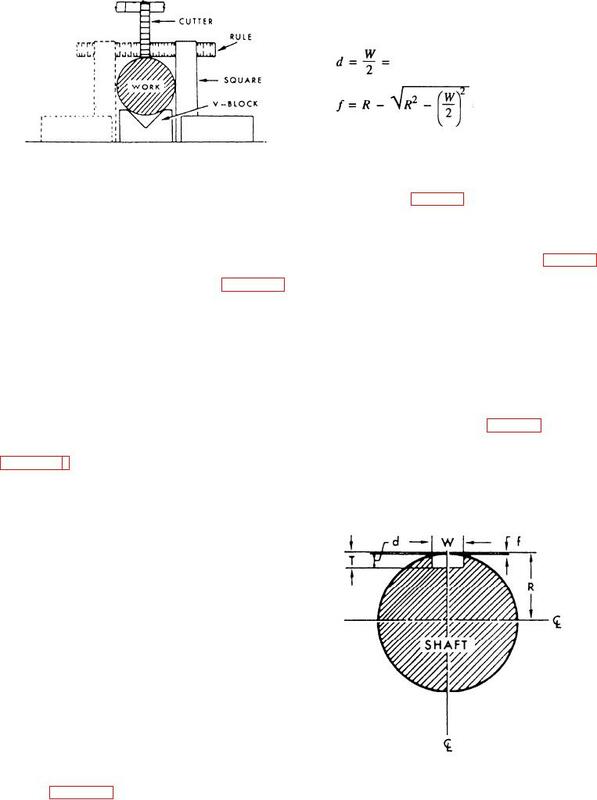 radius of the work plus the radius of the end mill. into a slot in a mating part, such as a pulley or gear. to mill straight external keyseats. work and the cutter with coolant. flutes cut across the cylindrical surface of the teeth. Figure 7-72.--Keyseat dimensions for a straight square key.